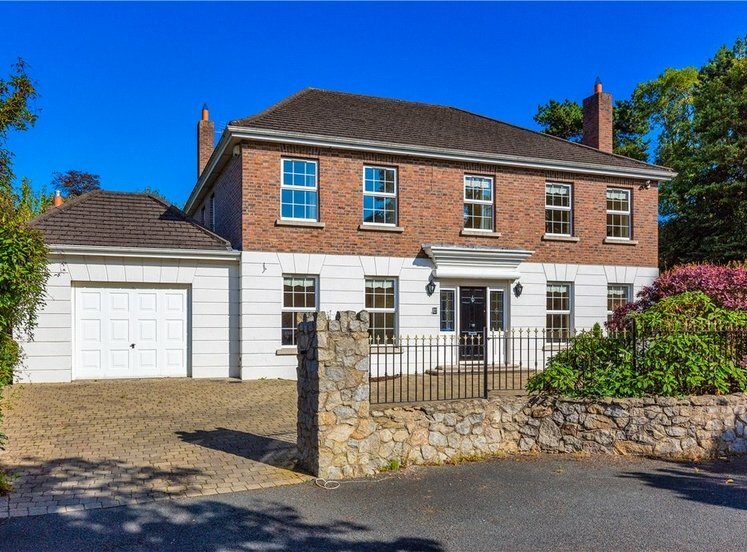 A unique opportunity to acquire a substantial family home standing well detached on a private site of approx. 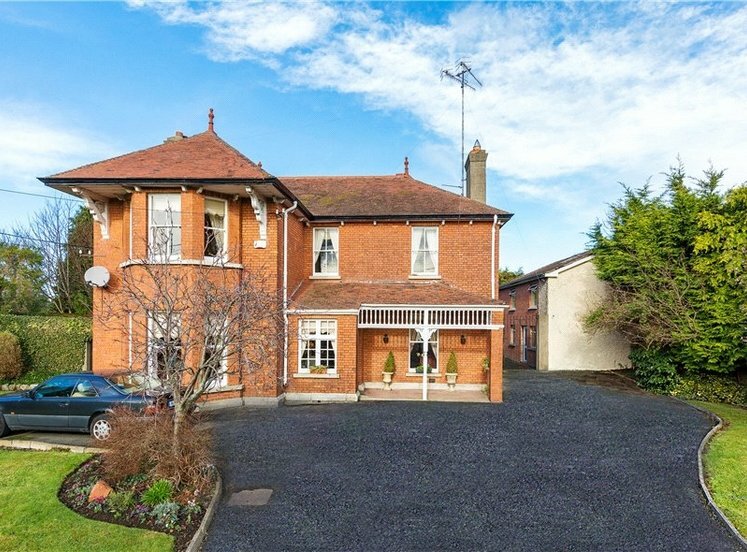 0.5acre / 0.2ha on the south western side of Brighton Road, a short walk from Foxrock Village. 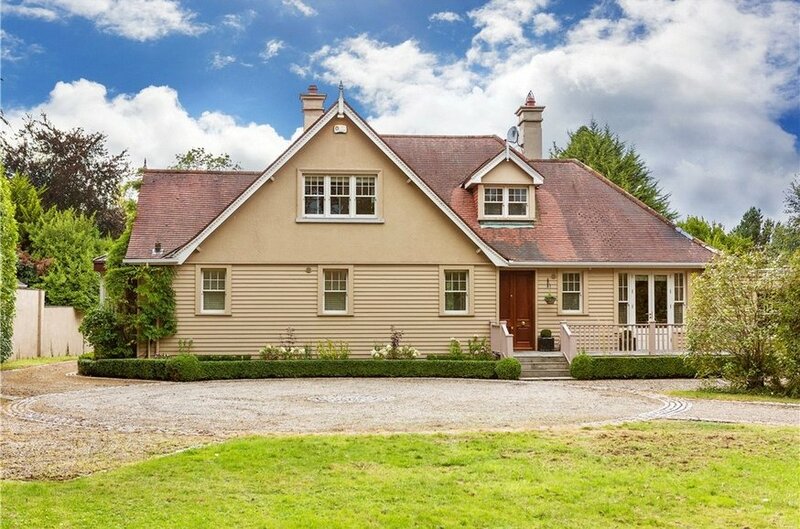 St Benedict’s is a most appealing, timber clad, detached property measuring 280sq.m. 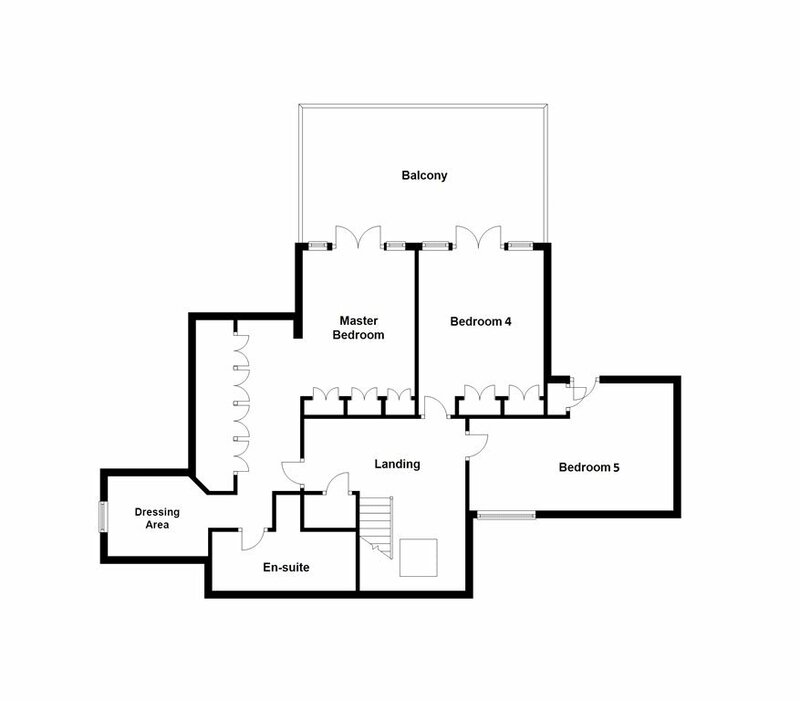 (3,013 sq.ft.) 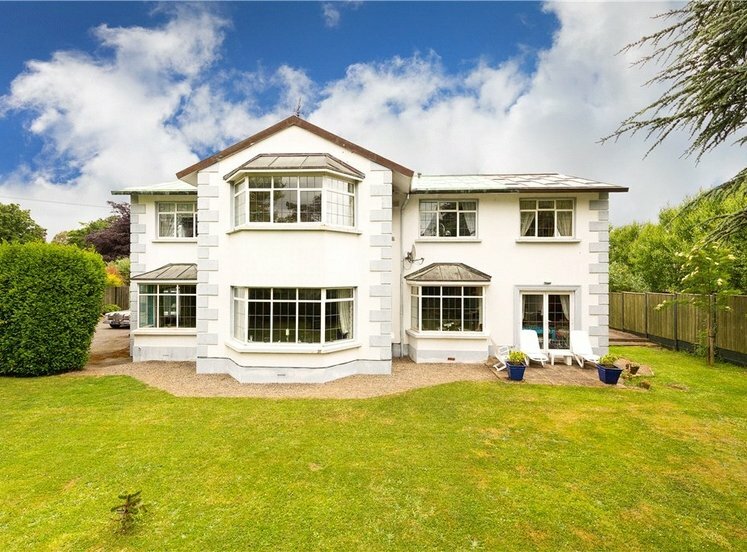 of very well proportioned and tastefully presented accommodation to include three impressive reception rooms, well-appointed kitchen / breakfast room which opens onto the sunny rear patio, pantry, study, boot room, utility room, two guest w.c.’s, two downstairs bedrooms (both en-suite) complimented by three further bedrooms upstairs, including the master bedroom suite. 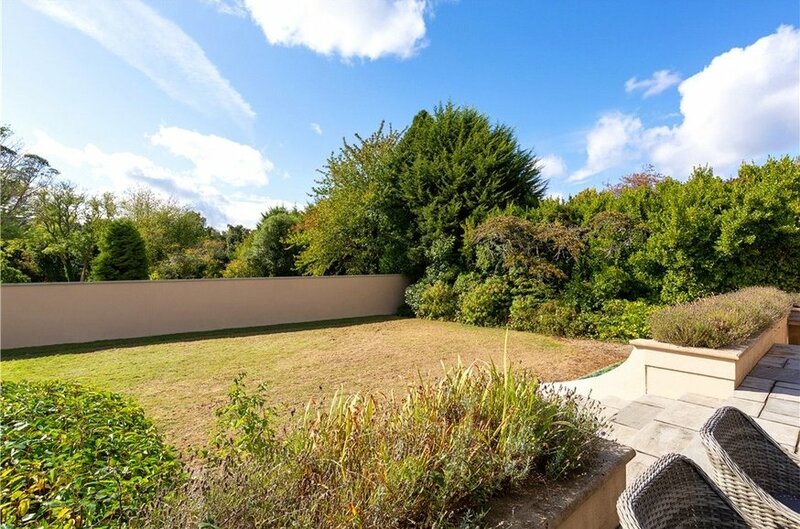 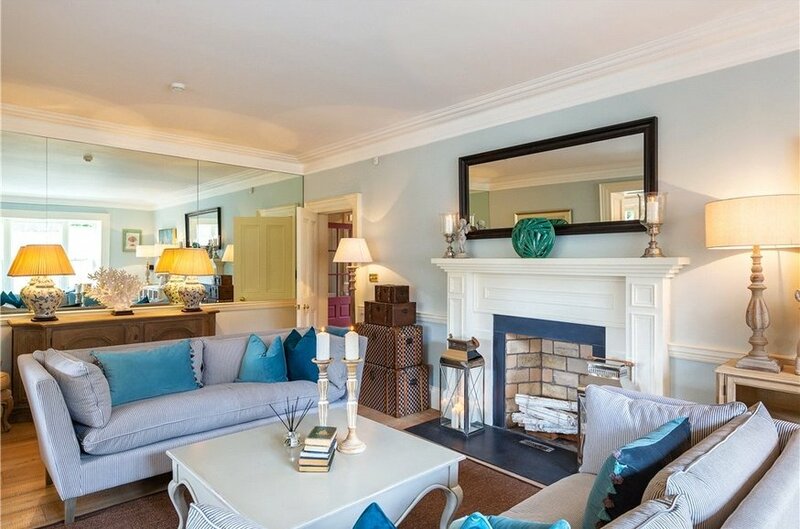 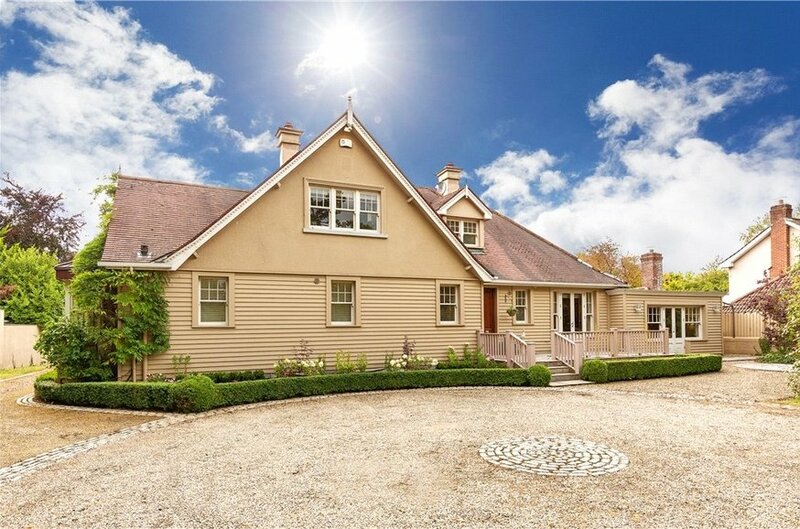 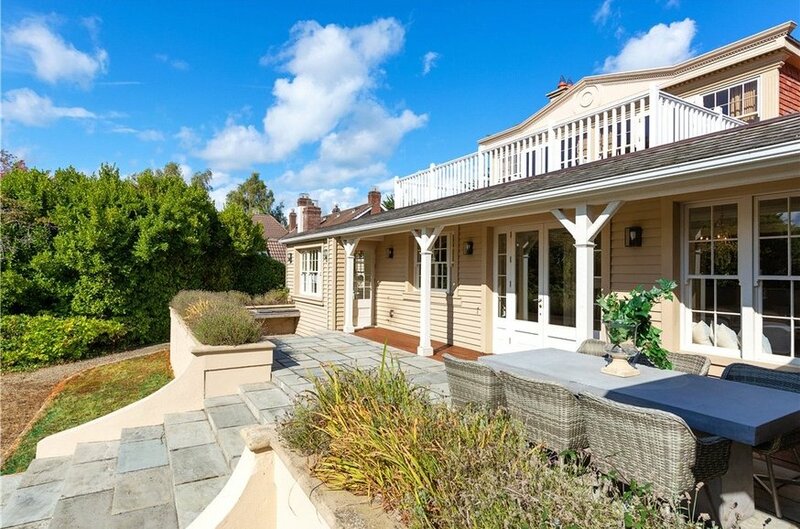 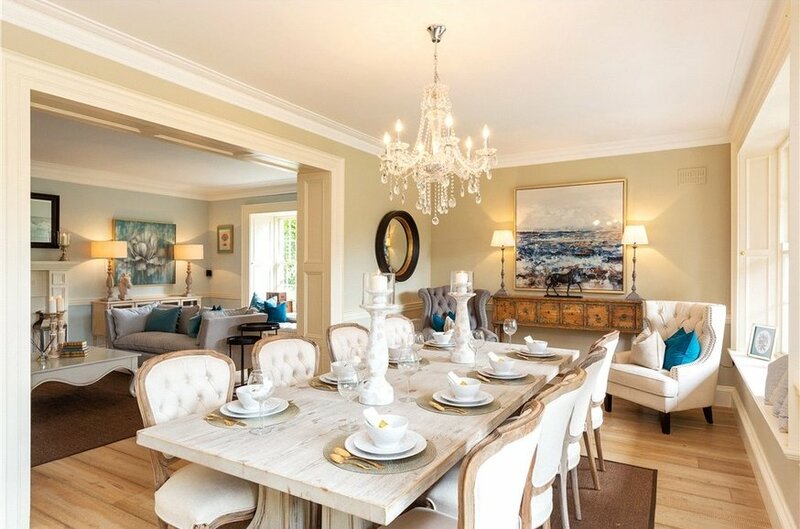 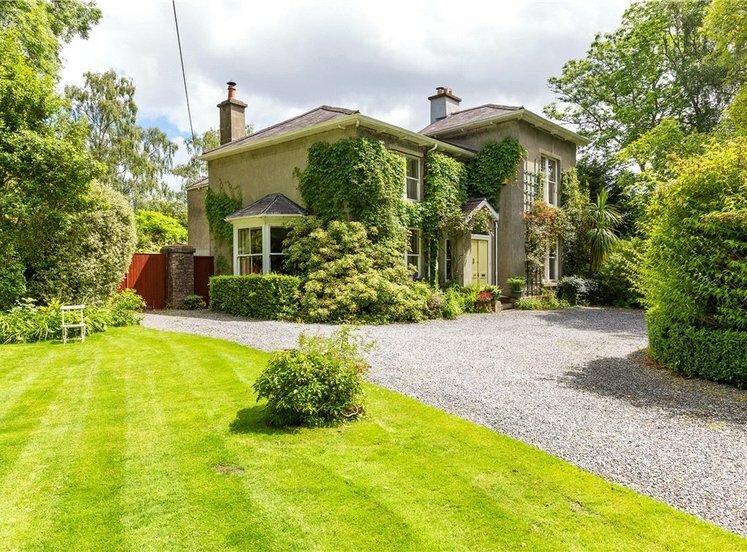 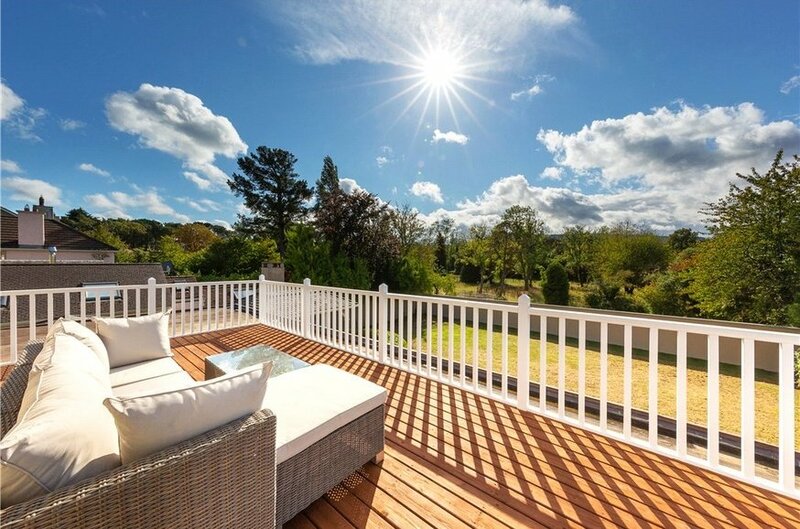 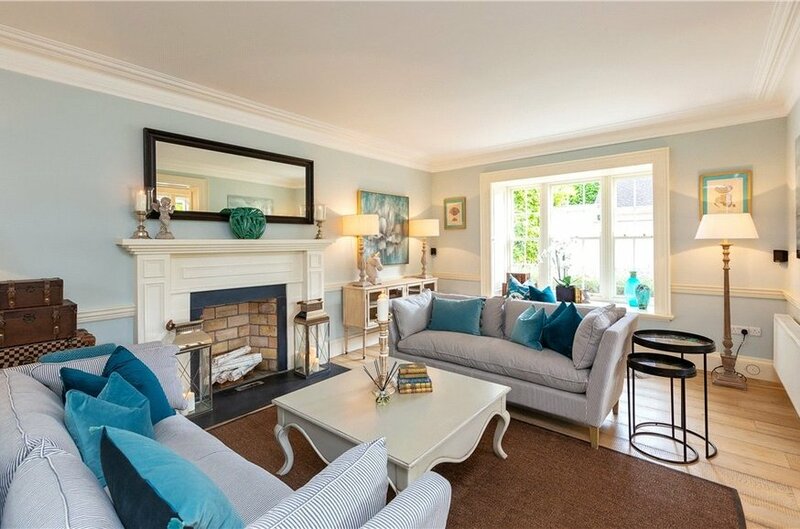 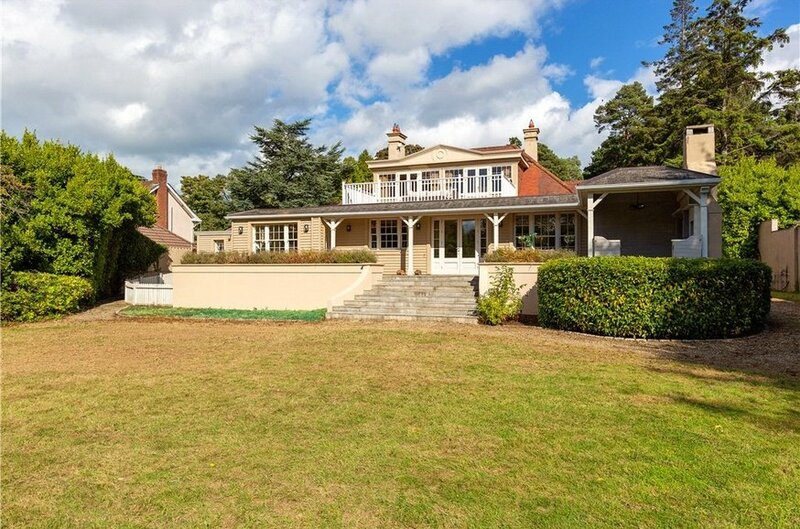 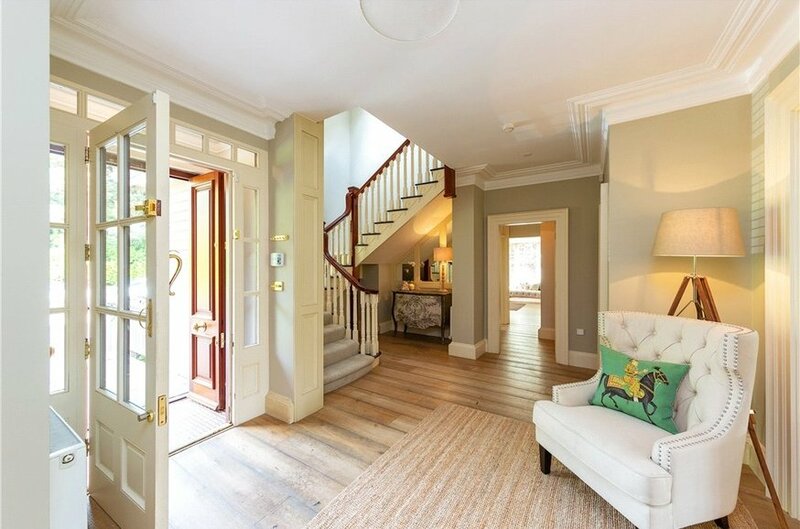 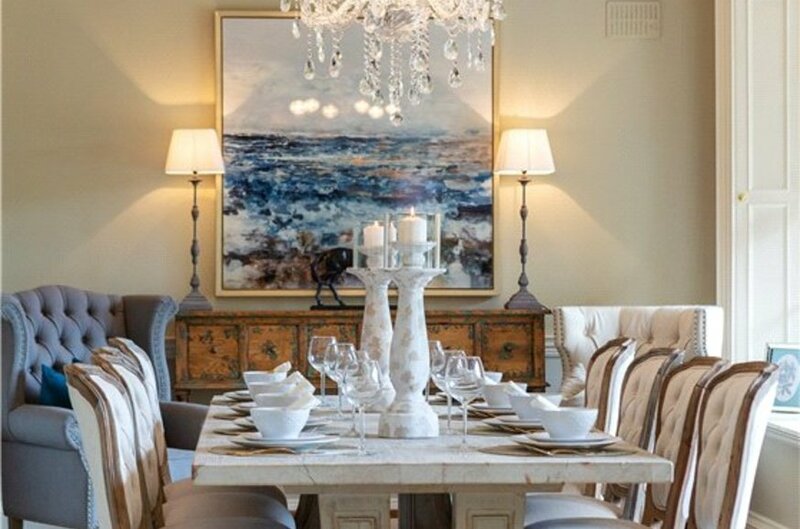 Brighton Road is a highly sought after road in leafy Foxrock approx. 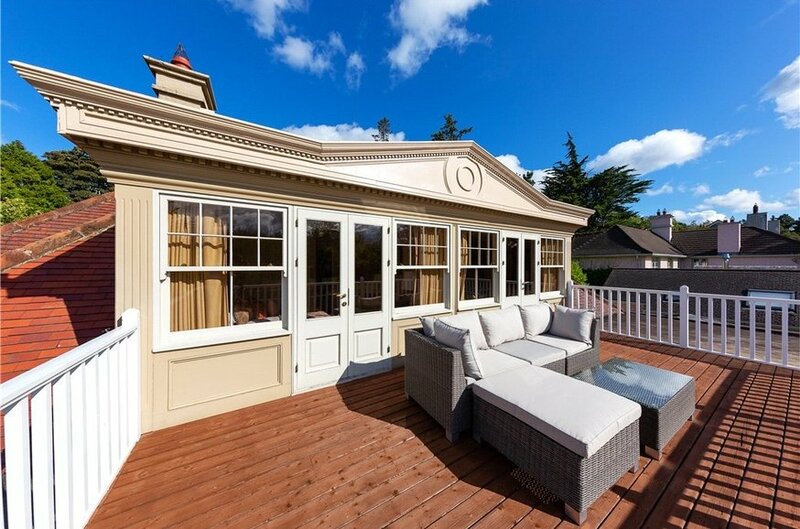 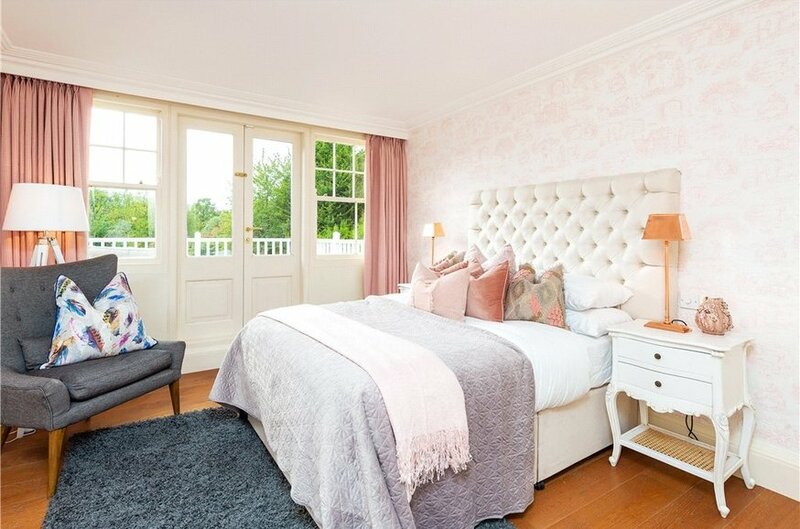 12km from St Stephen’s Green and only a short stroll to Foxrock Village where there is a selection of choice amenities. 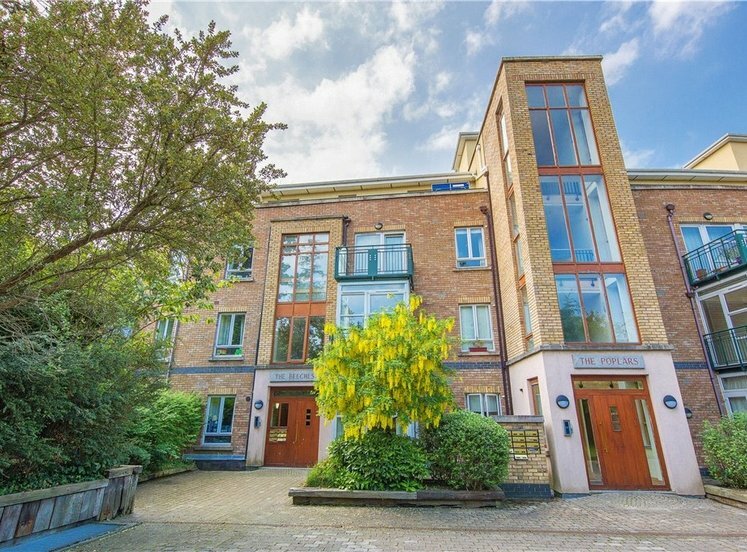 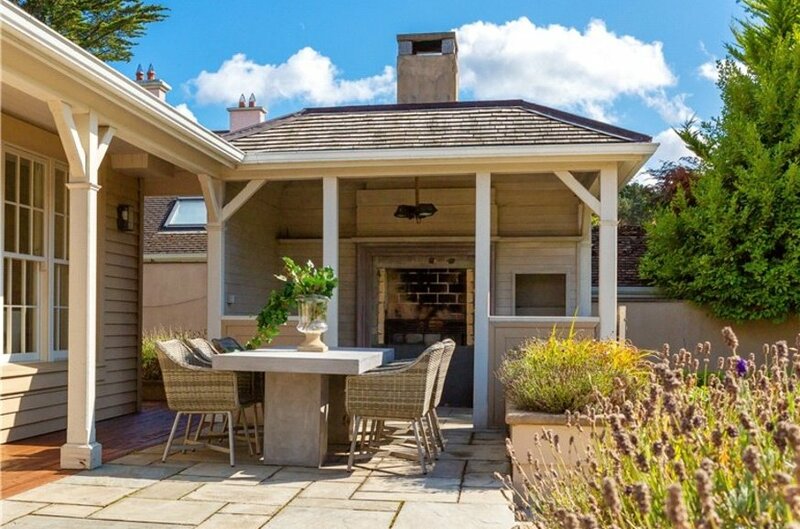 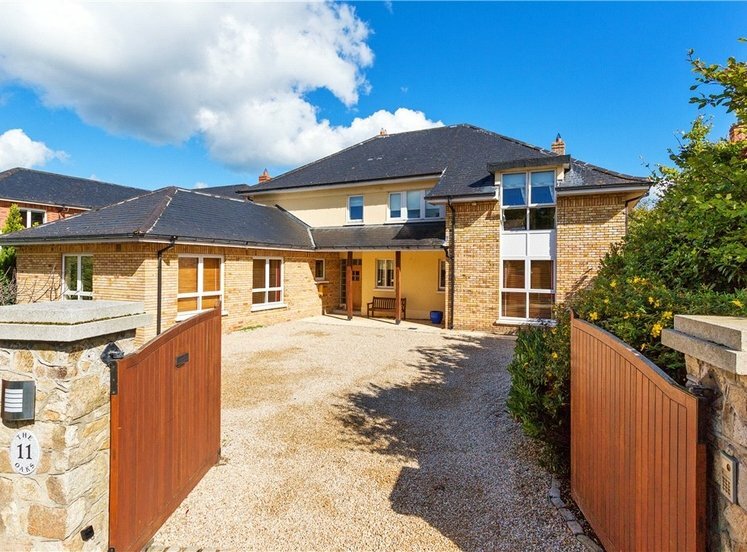 This is a deservedly popular residential location due to its close proximity to a number of recreational amenities including Foxrock and Carrickmines golf clubs, Carrickmines Lawn Tennis Club, together with the Westwood health and fitness centre. 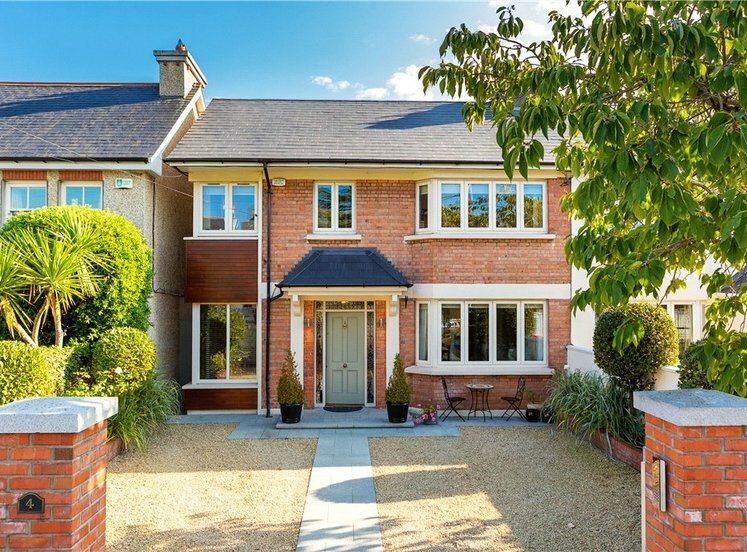 The QBC on the Stillorgan Road provides ease of access to Dublin city centre. 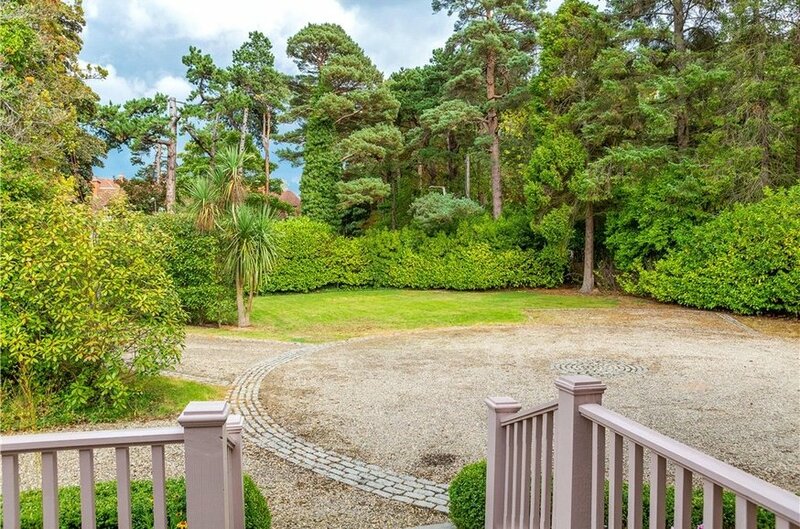 The property is also within short distance of the M50 interchange and the Luas at Carrickmines. 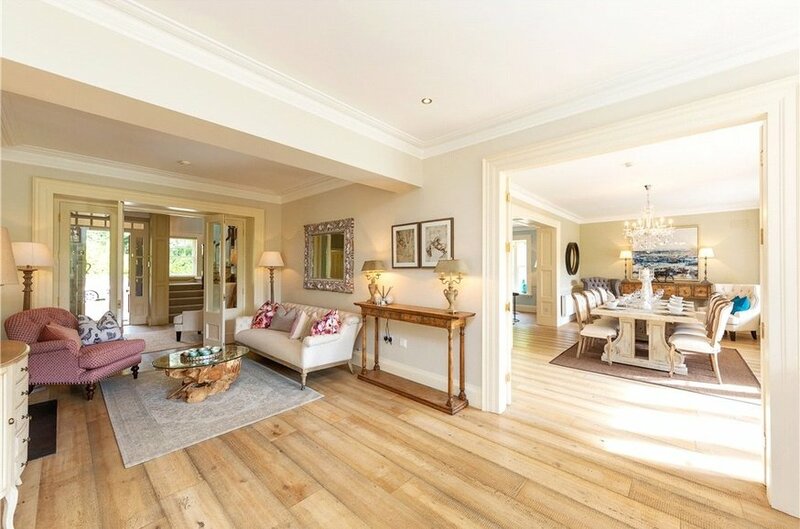 with wide plank wood effect floor. 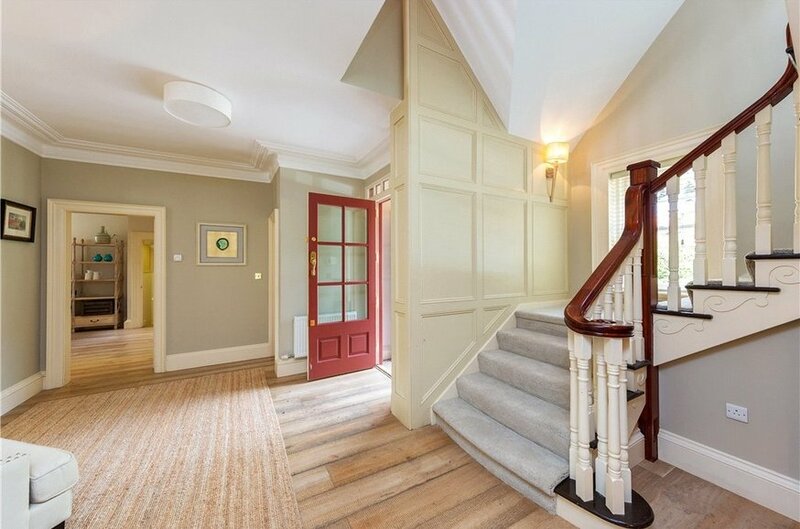 comprising wc, whb, part wood panelled walls and wide plank wood effect floor. 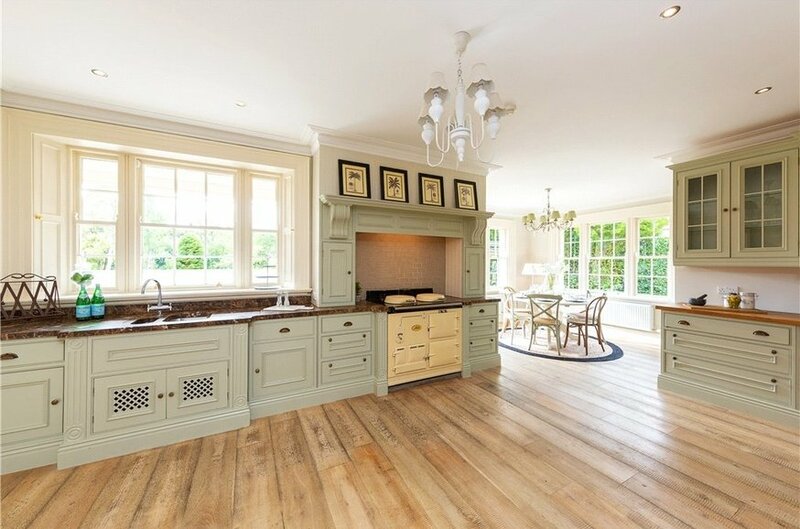 timber units comprising presses, cupboards, display cabinets, AGA, granite worktop, one and a half bowl sink unit, wide plank wood effect floor and picture window overlooking the rear garden. 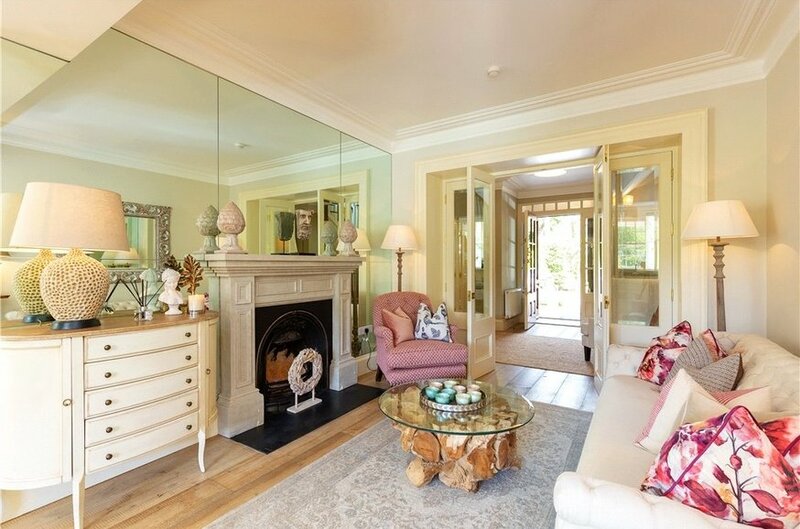 fireplace with brass inset, slate hearth, mirrored walls & wide plank wood effect floor. 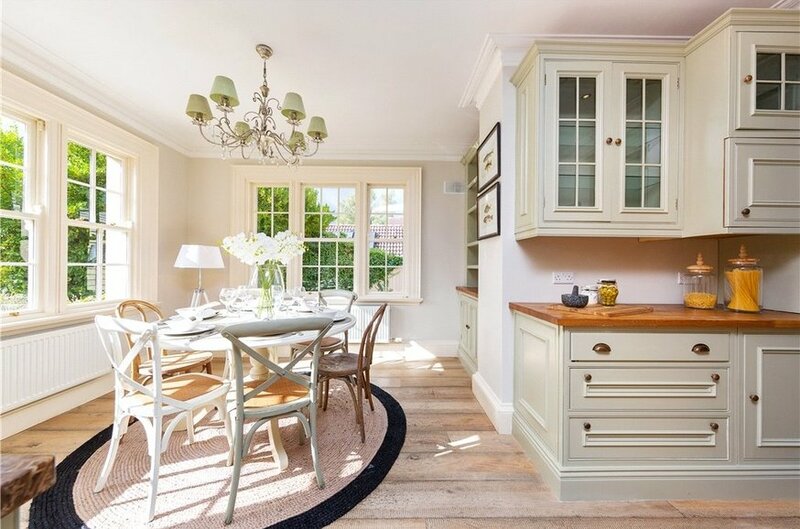 with display cabinets, larder & wide plank wood effect floor. 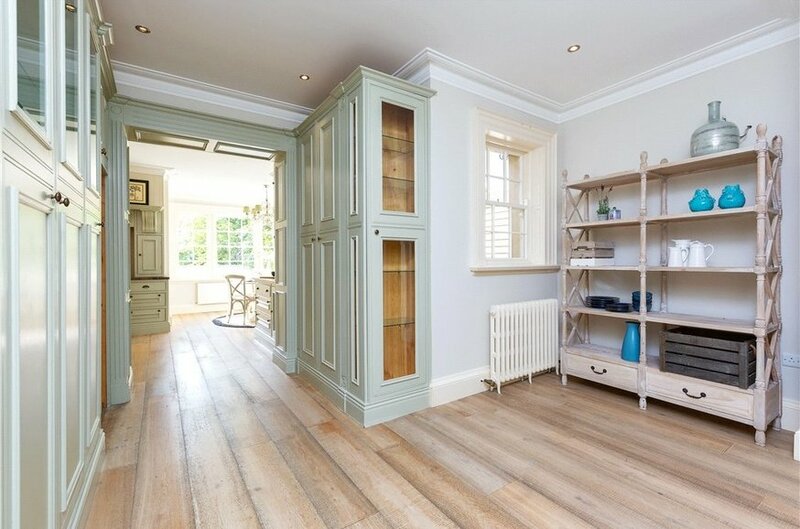 including built in units, comprising shelves and drawers & wide plank wood effect floor. 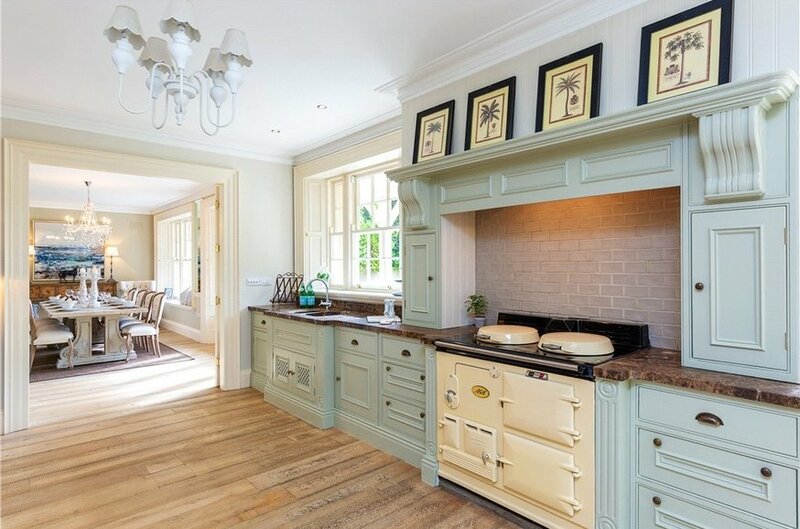 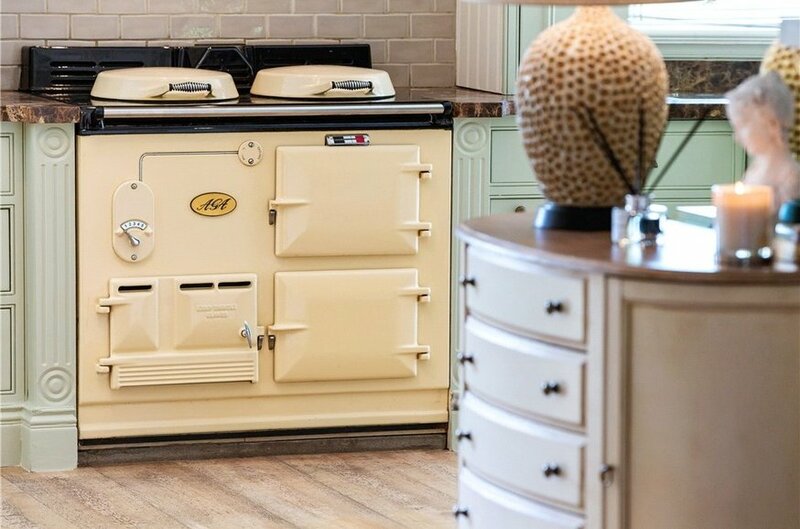 with marble floor, butcher block worktop, Belfast sink unit, plumbed for washing machine, storage press with gas boiler & centralised vacuuming system. 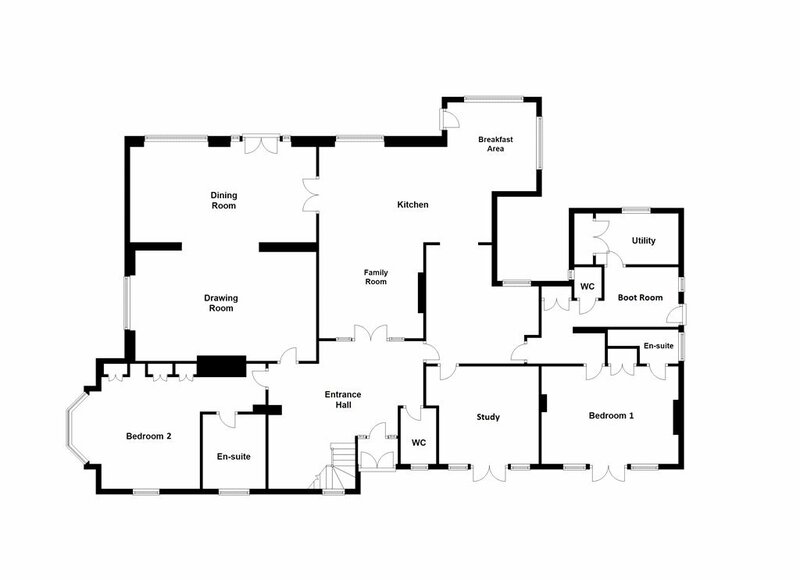 with large step in shower with Triton electric shower unit, pedestal w.h.b., w.c. and feature circular window and heated towel rail. 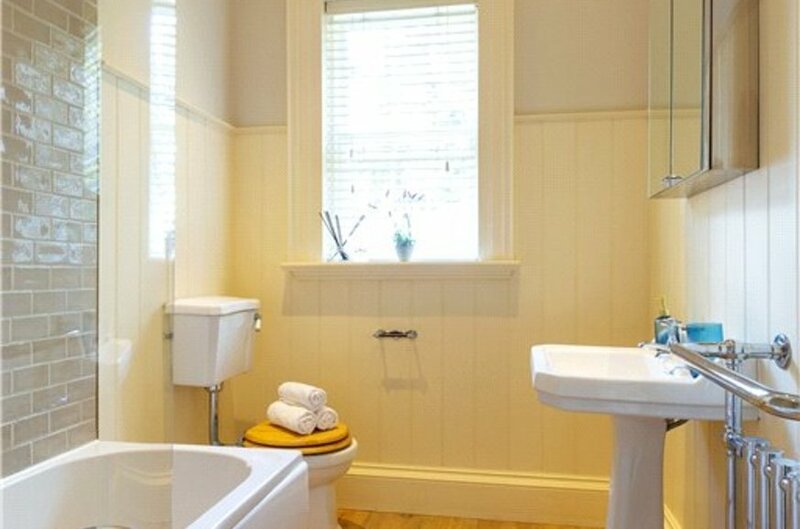 comprising bath with shower above, pedestal w.h.b., w.c., part wood panelled walls and a feature heated towel rail. 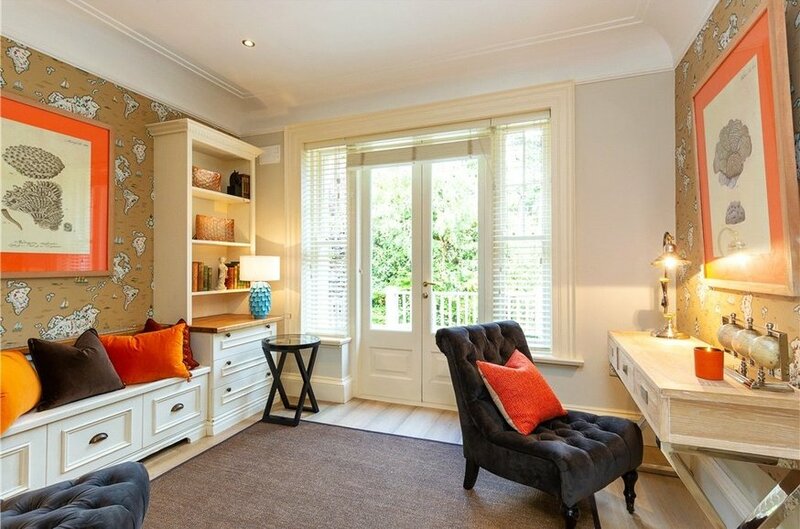 including built in wardrobes and drawers, harwood floor and French doors to a balcony. 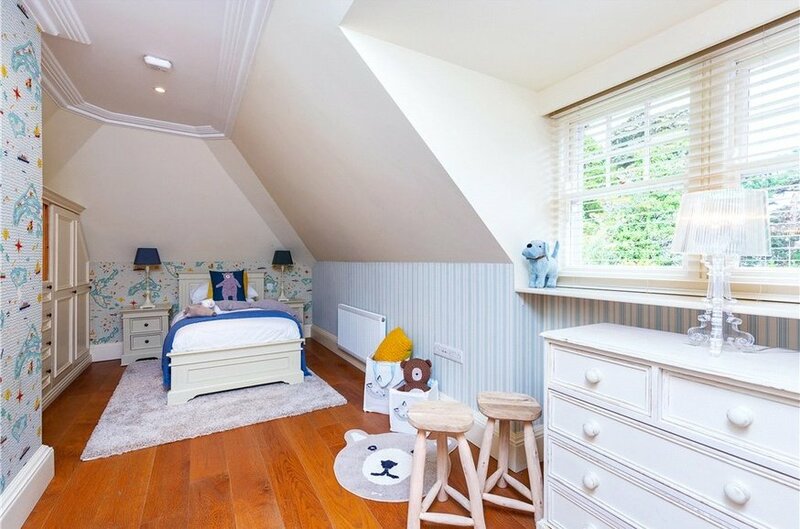 comprising an extensive range of built in wardrobes and a vanity unit, hardwood floor. 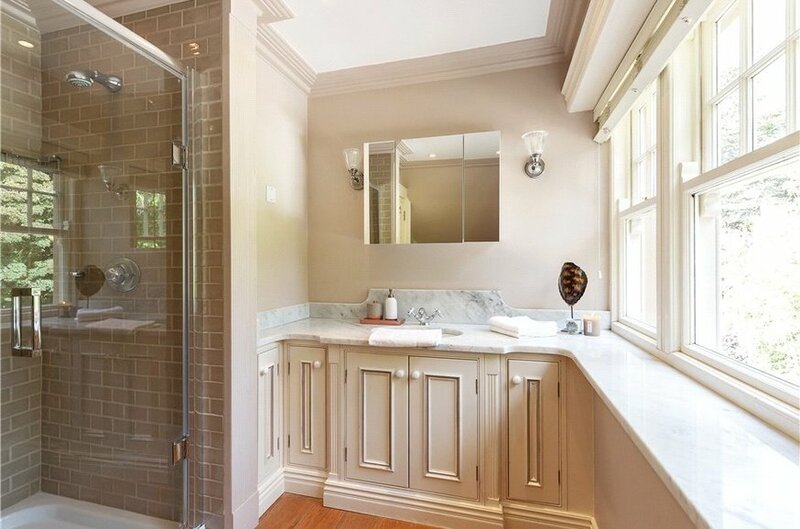 comprising step in tiled shower, vanity w.h.b., Armitage Shanks basin with presses underneath, w.c. with marble work surface above & continuation of the hardwood timber floor and under floor heating. 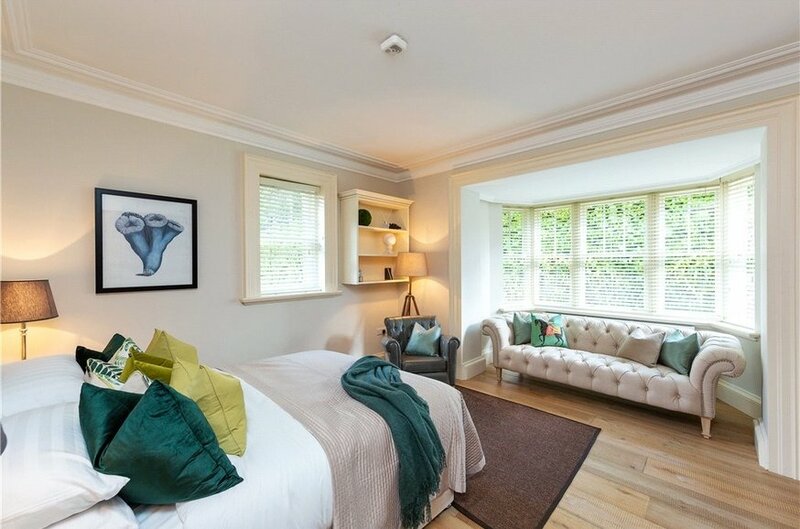 includes built in wardrobes and French doors to large balcony. 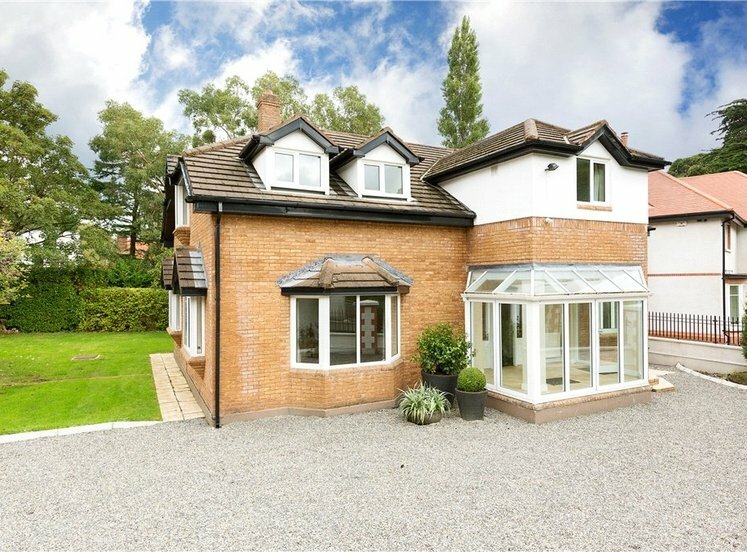 with a dormer window and built in storage unit.